On October 5, 2016, Cook County, Ill. became the second county in the country to enact a Sick Leave Ordinance for all employees working within county limits. The law goes into effect on July 1, 2017. However, some of the cities and municipalities within Cook County are not happy with the new ordinance. Several of the cities have already drafted proposals to opt out of the Cook County Sick Leave Ordinance and several others are discussing the option. However, even with drafts to publicly opt out, any business in unincorporated Cook County would still be accountable under the new ordinance. The new ordinance closely mirrors the Chicago ordinance. Only weeks later, the county voted again to raise minimum wage from $8.25 an hour to a gradual $13 an hour in 2020. The purpose of this article is to give an overview of the new Sick Leave Ordinance and the schedule for minimum wage increases. The minimum wage raises to $10 an hour in July, 2017, the same time that the new sick leave laws take effect. Minimum wage raises again the following year to $11. In 2019, it raises to $12 and in 2020, minimum wage will be $13 an hour. There are only a few exceptions to the new minimum wage ordinance. Government employees outside Cook County Government are exempt from the new minimum wage. Also exempt are employees who are taking part in government-subsidized temporary youth employment programs or transitional programs. Employees under the age of 18 years are exempt and allowed to be paid $.050 below the minimum wage. Adult employees under a probationary period of the first 90 days of employment are also allowed to be paid $.0.50 below the minimum wage. Lastly, employees not covered by the new minimum wage laws are tipped employees. Tipped employees minimum wage doesn’t increase until 2018 and then will increase based on the Consumer Price Index. Currently tipped employees are still required to be paid minimum wage, but their employer can credit tips to 40% of the wage. That means that tipped employees can be paid as low as $4.95 under today’s minimum wage laws. Any employee who works in Cook County limits for 2 hours or more a week is covered under the Cook County Sick Leave Ordinance. In order to be eligible, the employee would need to work at least 80 hours for that same employer within a 120 day, or six month, period. This even includes employers whose other employees work outside of Cook County. The ordinance also covers any employer who employs 1 or more employee and maintains a place of business in Cook County. This can be a part-time or full time employee, seasonal or temporary employee. There are a few exceptions to the Cook County Ordinance. Union employees who are covered under a collective bargaining agreement are able to waive the right to sick leave under that agreement. For unions with bargaining agreements already in place, the new law does not alter those agreements. Agreements reached after July 1, 2017 will have to expressly waive the right to sick leave in the agreement. Other exclusions to the sick leave law include any government agency, except Cook County employees. Indian Tribes and all businesses exclusively owned by Indian Tribes are also excluded. There are no exclusions for small businesses or non-profit business. Employees earn sick leave at the rate of 1 hour for every 40 hours worked. Sick leave starts on the first date of employment or July 1, 2017, whichever is later. Employers are allowed to limit sick leave to 40 hours in a 12 month period. The ordinance doesn’t define options for the 12 month period that employers are allowed to use. Additionally, employers can allow employees to accrue more than 40 hours a year, but must allow at least 40 hours of accrual hours eac 12 month period. Employees are allowed to carry over unused sick leave at the rate of 20 hours per year. If the business is subject to FMLA (Family Medical Leave Act) then the employee is eligible to carry over an additional 40 hours of sick leave to the next 12 month period. Employers can limit the additional sick leave to purposes only covered under FMLA. That means the employee can carry over up to 60 hours of sick leave under FMLA-eligible leave Sick leave can only accrue in 1 hour increments. Overtime-exempt employees are considered to work 40 hours a week for purposes of the sick leave accrual rate. 1- The employee or employee’s family member is ill, injured, or receiving medical treatment, diagnosis, ore preventative care medicine. 3- A public official closes the employee’s place of business because of a public health emergency or the employee needs to take care for a child after a public health official has closed the child’s school or place of care because of a public health emergency. The Ordinance recognizes biological, step, adopted, foster, legal guard, ward, or in loco parentis relationships.It also recognizes child, spouse, parent, domestic partner, sibling, grandparent, grandchild or parent-in law relationships. Additionally, a domestic partners parents are recognized as is any family relationship related by blood or close association that equates to a family relationship. Cook County Sick Leave Ordinance has no provisions that define a sick leave bank. Nor does it specify that an employee who returns to the same employer within a set time period is entitled to previously accrued, but unused sick leave. Further, the ordinance does not define what happens if an employee working inside of Cook County transfers outside the county with the same employer and if the employer does not allow the accrued use of sick leave outside the county. Employers have the option of front loading the entire 40 hours of paid sick leave upfront to the employee. This would avoid the need for accrual records for individual employees. However, it doesn’t reduce the amount of awarded sick leave that the employee is able to have. Employers must still award the full amount of 40 hours of sick leave up front. If employers already offer a Paid Time Off policy or sick leave policy, then the existing policy can satisfy the Sick Leave Laws. However, an employer must allow up to the 40 hours of accrued paid leave and must allow employees to use leave in accordance with the law. 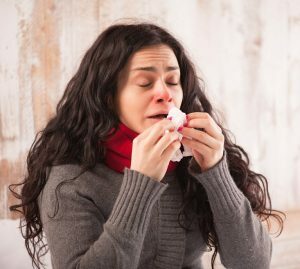 Employers must allow employees to start using sick leave within 180 days of beginning employment. Employees can determine how much sick leave they need to use. However, employers can place a minimum usage limit on sick leave use as long as it isn’t more than 4 hours a day. Employers can allow an employee to use smaller increments of sick leave if the employer wants to. When possible and reasonable, the employer can have a policy that requires a 7 day notice of sick leave use. Reasonable notice would include pre scheduled appointments with a health care provider or court appointments for domestic violence cases. If the employee is unable to provide reasonable notice, the business can require an employee to provide notice via phone, email, or text message as soon as is practicable on the day the employee is going to use sick leave. An employer who establishes a notification policy must supply the employee with the written policy and must not make the policy burdensome to employees. All notification policies must be waived if the employee is unable to notify the employer due to an inability to notify such as incapacitated or unconsciousness. Employers cannot withhold sick leave use until they receive documentation and can only require one documentation to satisfy the requirement. Employees are able to choose which documentation to provide. If employers find employees are abusing sick leave use, then the employer can take disciplinary action, up to termination, toward the employee. The employer must post in a conspicuous place the sick leave ordinance for employees to see. It must be posted at every facility where employees work. The only exception to this requirement is when the employer has not facilities within Cook County. Additionally employers must provide a copy of the notice to each employee upon commencement of employment. Cook County Sick Leave Ordinance prohibits retaliation against employees who use or attempt to exert their rights under the ordinance. Anti retaliation includes the following actions: unjustified termination, unjustified denial of promotion, unjustified negative evaluations, punitive schedule changes or decreases in the desirabilities of work assignments. It also prohibits any other forms of harassments linked to the employee’s exercise of rights. Further an absence control policy cannot count absences used in conjunction with paid sick leave hours to discipline, discharge, demote, suspend, or take other adverse action. The ordinance provides for triple damages to be awarded to the employee whose rights were violated. The employee can initiate a civil action against the employer. Statute of limitations is three years from the violation date. The County’s Human Rights Commission is responsible for administering and enforcing the ordinance. Businesses who have employees in both Chicago and Cook County may have to comply with multiple conflicting City ordinances defining Sick leave accrual and usage laws. Additionally, these businesses have to also comply with Federal Overtime Laws, the Family Leave Medical Act and any other national or local laws that are enacted. SwipeClock provides a comprehensive array of workforce management and time tracking tools that can help businesses to more easily stay in compliance with local and national laws. Records are effortlessly kept for years and accrual is automatically tracked and reported to employees according to the state and city laws. Additionally, with geo-timekeeping clocks, businesses can effortlessly track time worked in specific cities to ensure compliance.